Japan's Finance Minister Taro Aso announced plans to revise the design of the nation’s banknotes and ¥500 coin. Aso said the design of ¥10,000, ¥5,000 and ¥1,000 notes, as well as the ¥500 coin, will be changed in order to help prevent counterfeiting. Learn a little bit about the process, and the inspiration behind the designs. The notes are to start circulating around the first half of fiscal 2024. 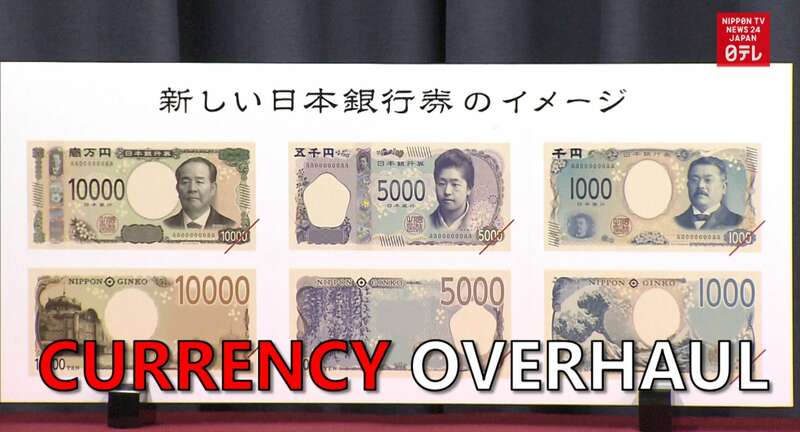 The new 500-yen coin will be triple-layered, and designed with two colors to prevent forgeries. The coins will enter circulation in the first half of fiscal 2021. Japanese banknote designs generally change every 10 to 20 years to prevent counterfeiting.